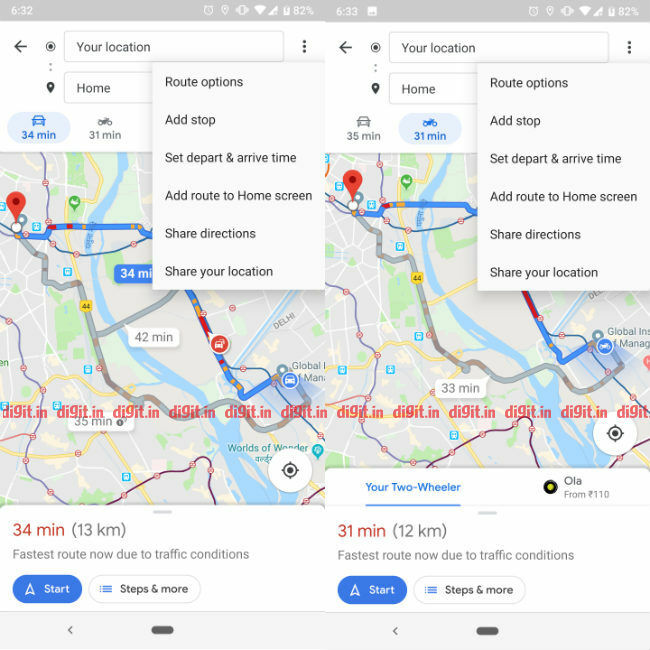 The feature in Google Maps is currently only for car navigation and lacks the reminder function, which could assist better in time management. Google is working hard to make Maps a very powerful navigation tool, and with each update being rolled out to it, the app is getting better. Now, the company has started to roll out a feature to Android users that will assist in improving the planning of their trip. First spotted by Android Police, the new feature allows Maps users to schedule both arrival and departure times. The feature is available in Google Maps version 10.8.0, which is currently available in beta on the Play Store. To use the feature, a user needs to type the address where he/she wants to navigate to. Once done, the user should tap the overflow menu (the three dots on the top-right corner). There the user can see the “Set depart & arrive time” option. Tap this option and then you will get an option to set either the departure time from a location or the arrival time to a certain location. In both the cases, the Maps will tell you the time taken to travel from starting point to the destination. There is a minute different between these two. If you set the departure time, Maps will show you an estimate of how long your route will take if you leave the originating location at the particular set time. If you set the arrival time, Maps will tell you the time when you should leave the originating location to reach the destination on the set time. 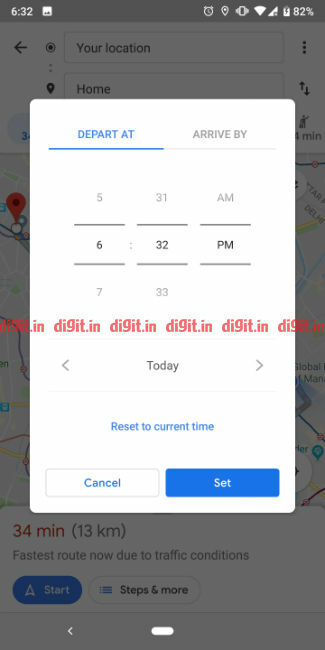 Contrary to a few reports that claimed that the feature is only available for cars, Digit found out that the feature is available on two-wheelers as well. This could be an India-specific feature. The feature sounds very interesting, though it lacks reminder or notification support, which means that if you are get too busy in your work and miss the departure time, you may end up reaching late to the destination. It is also very difficult to keep monitoring the traffic situation, so if there is an unexpected jam on the route that has been suggested by Maps, the departure time may change drastically. 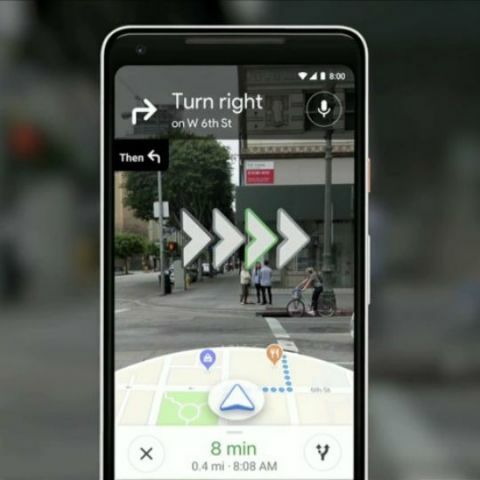 Last week, a report said that Google enabled a new feature in Maps that could help commuters get to their destinations faster, safer and without getting into trouble with the law. Google Maps was seen displaying two new options, called speed limit and speed trap, to some users in the US. As the names suggest, the features show the speed limit for a particular road, at the lower left side of the map. The speed trap feature is supposed to help commuters know if there are any speed cameras along the route with the help of a small camera icon.